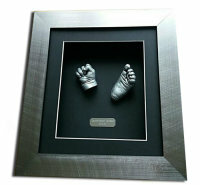 Here is a selection of my 3D framed casts, including baby's hand and foot casts and beautiful framed sibling group casts. 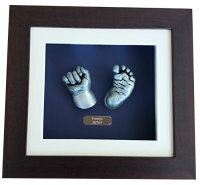 I can supply a wide range of bespoke frames, a choice of backing board and mount colours and choice of finish for the casts. 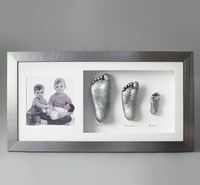 Toddler 3d foot casts with first shoes. 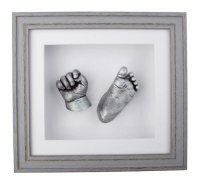 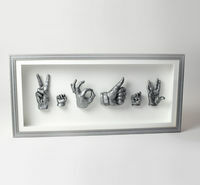 3d silver effect newborn baby hand and foot casts. 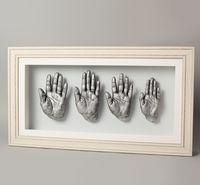 Framed hand Casts of a family of four. 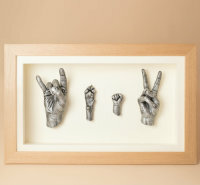 Lovely Jenson with his 3D casts!